Full disclosure: I am an affiliate with both Grammarly and MindMeister. This means that I receive a small payment when you sign up for an account using a link below. I still use both services on my own, but I wanted to be 100% honest with you all. Enjoy! Grammarly is the best app I have found to make writing easier. I use Grammarly all the time for blogging, SEO copy, and business emails. I wish I knew about Grammarly as an undergraduate. I recommend Grammary for undergrads because it is effective and gives great insight on ways to improve your writing projects. I use the free version of Grammarly. This is a simple browser add-on that provides great real-time suggestions for over 250 points of grammar. This feedback gives me an instant direction to improve writing on many levels. Along with instant direction, Grammarly also highlights errors about spelling and grammatical mistakes. 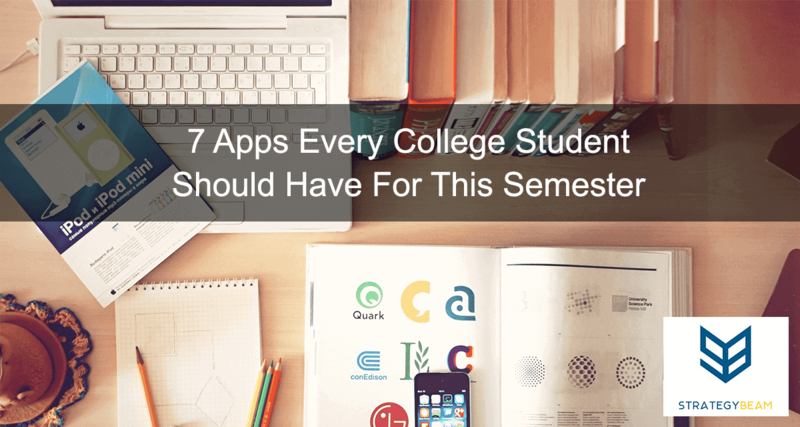 This is a must-have app for every college student! The free browser app saves me a lot of time. I highly recommend you download and install it today! There is a paid version that gives more advanced analytics if you are looking for more. 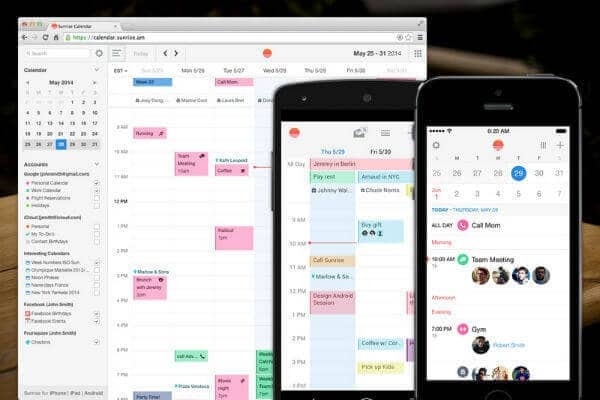 There are a lot of task management tools available, but Wunderlist is hands-down the best one out there. 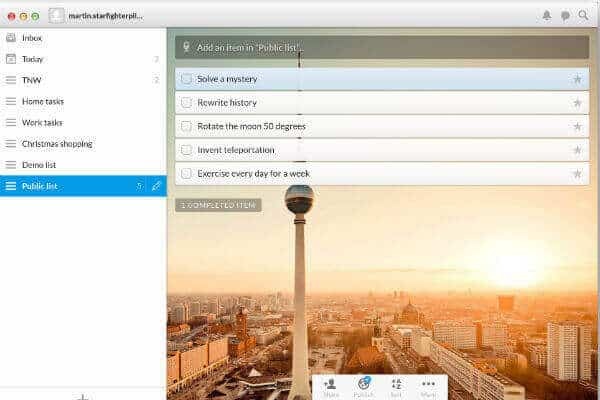 Wunderlist is a simple and straightforward task management tool that can handle a wide range of tasks from daily to-do’s and class projects. I use Wunderlist to keep track of project requirements, daily tasks, and to keep my blog posts in order. Undergraduates can use Wunderlist to help manage their various projects and course work. Don’t miss another deadline and keep up on all your tasks by installing Wunderlist today! Sunrise Calendar is a must-have app for any college student because it helps you manage your most valuable resource- your time. The default calendar app is great, but I find that Sunrise is much better because of its versatility and accessibility. You are able to sync several calendars to the Sunrise calendar no matter what calendar app you use. You can make the most with the Sunrise Calendar to schedule upcoming events for your classes, meetings, and social events. Right, when you open Sunrise Calendar you are able to see all upcoming events at a glance so you will never be caught off guard again! Mathway is a great app for college students who deal with all levels of mathematics and science. This amazing college app will help you solve math problems dealing with basic math to more advanced problems including Trigonometry, Statistics, and even Calculus. The free version is a great resource to check your homework and prepare for an upcoming exam. If you are stumped, Mathway will walk you through step-by-step on how to solve the problem on your own. This makes Mathway a great way to continue learning on your own. This is a great tool and you should definitely use it to help with your college courses, but I warn against relying on it. Don’t depend on Mathway to get through homework because copying answers won’t help you learn the equations. Only use Mathway to help you understand how to solve problems on your own. 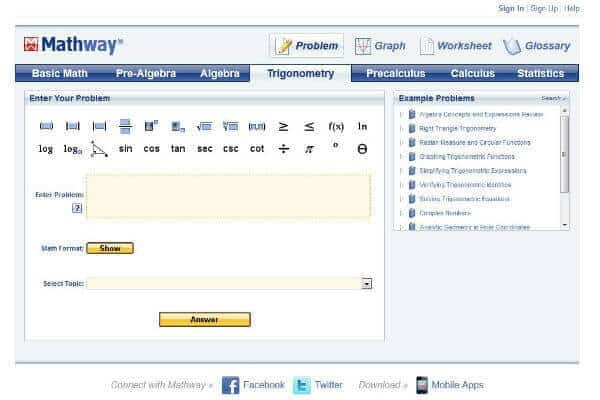 Stop struggling with your math problems with Mathway! 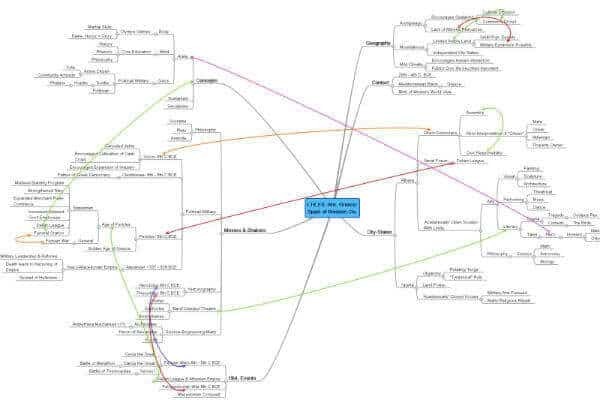 I am a visual thinker so I use mind maps all the time for business projects. I have tried every mind mapping software on the market, and one of the best ones I have found is MindMeister. MindMeister will take care of your needs to get a visual overview of your projects. If you don’t have hundreds of dollars to spend on a mind mapping program, MindMeister is exactly what you are looking for. You can use MindMeister on your desktop and mobile devices so you can take your projects with you wherever you go. MindMeister integrates with Google Drive so you can save all your projects in one place. This great mind mapping tool comes with a free version that offers up to 3 mind maps, but you can buy more through a monthly subscription. Install MindMeister and integrate into Google Drive to get a great mind mapping experience. Install MindMeister today to get mind mapping! 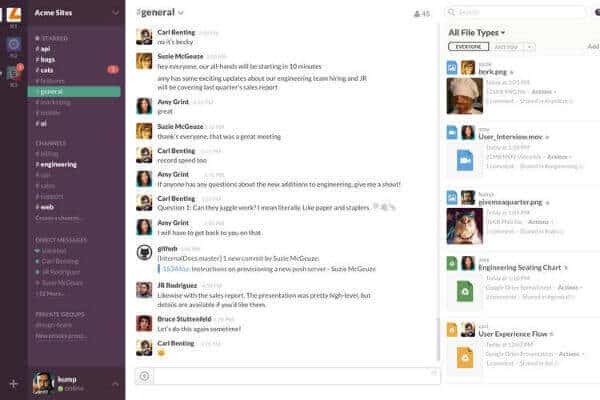 Slack is known as a great tool for business communication. I use it for my own business and in other organizations to improve efficiency. The main reason I like Slack is because it reduces the amount of time I spend in my inbox trying to piece together messages from members of my team. As an undergraduate, you deal with many projects so you are likely working with lots of team members. Slack is a great tool that will help you increase efficiency and get your projects done better. To get started, you just need to download and install Slack. After you download Slack you just need to create different Channels for each class or your organizations. The next step is to invite your teammates for each project and get to work! Google Drive is by far the best collaboration tool I have ever used. I use Google Drive to share business projects with my partners to work faster. I can save all my files in one location so I can access information anywhere at any time. You can save all your class work in a central location with Google Drive. Since your work is on the cloud you don’t have to worry about your hard drive crashing. When you are working on a project with several people you won’t run into issues if you are creating and editing docs on different programs. Simply create a Shared Folder and share it with your entire team so everyone can give their feedback in real-time. This will reduce the chance of working on different versions of a document so you can get projects done faster! So start using Google Docs and get started collaborating with your team!